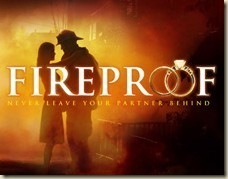 In part one of this review of the movie Fireproof, I gave my overall view that the movie wasn’t as bad as I’d expected, but still squandered the potential it had to be a decent love story. In part two, I’ll focus on some specifics as well as address some of the religious issues of the movie. Despite the potential for a nice romance movie, there was so much wrong with the entire script (even setting aside the religious aspect) that any chance for a decent level of watchability was destroyed. Irrelevant scenes, undeveloped characters who suddenly seem important, stilted and contrived dialogue, female stereotyping, and a myriad of other problems all effectively screen the underlying story from being the focus. Much of the acting was bad, but none worse than the young doctor who attempts to woo Catherine, despite her being married. In his case, the bad writing was not the sole cause of his lackluster performance. He came across as decidedly creepy, with pickup lines that deposited a virtual oily slime on the camera. In the end, there’s an implication that he is married as well, so he becomes a double scumbag… but his complete lack of appeal and disturbing stalker-like creepiness were the worst parts. There were many useless scenes in the movie that added nothing to the story and were simply time-killing distractions. The gag with the hot sauce and the egotistical fireman, Wayne, seemed to have no point. The minor interaction with the one firehouse atheist was pointless. The entire religious “message” seemed secondary. It would have worked if it had been more of a focus (or at least shown to be the reason for the marriage being saved), or had been addressed in a less heavy-handed, clumsy way. The religious dialogue that was scattered throughout the movie didn’t seem to contribute to the story. The dad, John, made some comments here and there. When Caleb commented on his long drive, he said, “It gave me time to think and pray.” …hopefully not with his eyes closed. Caleb’s “don’t tell me about Jesus” protestations seemed weak. The father’s dialogue was generally badly written and poorly acted, but other than the main conversion scene, didn’t really offer much of a message of Christian goodness. What about that message? There was really very little, if any, explanation of why Christianity had anything at all to do with the saving of Caleb and Catherine’s marriage. That’s what made the message so weak. All the actions shown from the “love dare” book were secular in nature, except the day where Caleb was supposed to pray for Catherine, which he admitted he didn’t do… which seems to be showing that, even without the religious parts, the marriage was saved. Caleb has his conversion, but it’s ignored for the better part of the second half of the movie, so there was no connection there, either unless the implication is, because he’s accepted Jesus, he’s willing to clean the house, wash the dishes, and buy his wife flowers. 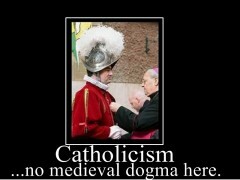 Addressing the religious points from an atheist perspective, I’d have to say there was a lot of silliness. Caleb’s father says, “[Jesus has] become the most significant part of our lives. When I realized who I was and who he was, I realized my need for him. I needed his forgiveness and salvation.” To me, that’s sad. If a dead guy is more significant than your wife and children, not to mention a myriad of other joyous things in life, then your priorities are so far out of whack that a serious reality check is in order. Need his forgiveness? Need his salvation? What? The conversion speech John gives to Caleb is right out of Cameron’s Way of the Master evangelizing program. “God judges by his standards.” … “His standards are so high he considers hatred to be murder and lust to be adultery.” … When Caleb asks about all the good he’s done, his father replies that it doesn’t matter because “You’ve broken his commandments and one day you’ll answer to him for that.” … “Jesus loves you even though you rejected him.” It’s creepy and the message that you can’t know what love is without Jesus is just offensive. When the oncoming train almost hits the lieutenant while he’s helping move a car off the tracks, he sits down and says, “Thank you, God. Thank you, Lord.” I think it would be more appropriate for him to be thanking the other folks who helped get the car off the tracks before the train came by. If God had wanted to help, he could have just stopped the train… or moved the car… or perhaps kept the car accident from happening in the first place. To give thanks to a god who almost kills you is just absurd. When Caleb is rescuing the young girl from the burning house and gets trapped in a room, he says (uncharacteristically, I might add), “God, get us outta here!” He then proceeds to use his axe to hack through the wooden floor and escape safely from under the house. This almost made sense, because, even though he asked God for help, he got out by himself. Quick thinking and taking action saved his life, not a benevolent god. Again, if God had wanted to help, he could have kept the building from catching fire in the first place, or at least gotten the girl to go outside before burning her home to the ground. There was an implication that, unless you give your life to the Lord, it’s all about “my rights and needs.” I don’t think the “Lord” has anything to do with that. Just the opposite, in fact. If someone is “accepting Jesus” because they want eternal salvation or to avoid eternal damnation, that seems pretty self-centered to me. Caleb tells Catherine, “God has given me a love for you that I had never had before.” What he’s telling her is that he can’t possibly love her without divine intervention. That’s insulting on a grand scale. Caleb says, “The love dare changed my life.” and his father responds, “God changed your life. The love dare was just a tool he used.” That’s classic Christian thinking right there. Don’t give credit where the credit is due, but credit God for working in mysterious ways. It’s brilliant because it fits any situation and it’s irrefutable. You can’t prove that God didn’t use the love dare to save your marriage! When Caleb finds out his mother did the love dare on his father (and not the other way around) and now knows that she’s all Jesus’y, he’s sorry for treating her badly and runs to tell her how much he loves her. “Dad, I have treated her so wrong!” Caleb cries. The implication is, of course, that only the godly folks are worthy of good treatment. His mother didn’t change in the past month, but when he suddenly finds out that she’s “all in,” his attitude toward her is completely changed. It’s hypocritical and repugnant. There are more things like those, of course, but those are some of the highlights. None of those things added anything to the story, but their poor execution just hindered both the Christian message and the quality of the movie. The writer’s attempt to make the connection between Christian beliefs and the success of the marriage failed on a grand scale. However, it did (if you could wade through all the muck) make quite a good connection between kind, secular actions toward your spouse and the success of a marriage. Caleb started doing nice things for Catherine and it made him a better person… and she noticed. That was the real message. 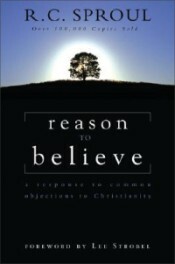 In his book Reason to Believe, originally published in 1978 under the title Objections Answered, R. C. Sproul states in the preface that purpose of the book is not to “provide a technical study in the science of apologetics” but to “offer basic answers to the most common and frequent objections that are raised about Christianity.” He wants the book to lead the reader to further, more detailed investigations of the problems he addresses. The book does give basic answers. It’s relatively short and is very easy reading. Reason to Believe was recommended to me by a Christian friend who said that Sproul is one of his favorite apologists because he uses logic and reason to answer the questions rather than simply appealing to human emotions. Whether Sproul actually succeeds is something I’ll address as I go along. 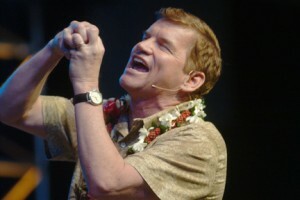 There is a foreword by Lee Strobel from 1993, so even though the book is over thirty years old, it has evidently remained relevant and, according to Strobel, is the perfect book to recommend to skeptics, Christians who may be doubting their faith, and Christians who need to be able to respond to questions about their faith. 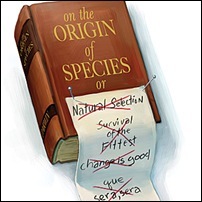 It does date the book somewhat when Sproul, stating that the bible is not a textbook of science,Â says that man’s origins “can never be determined by the study of biology. The question of origin is a question of history.” There have been huge leaps in the biological sciences in the past thirty years that have done amazing things to explain and confirm the origins of the human species, so I was content to let that statement slide, though it pains me to know that many of the readers of this book will take that statement at face value. The book is divided into ten chapters, each chapter addressing a single question or statement. They include the topics of biblical contradiction, people who never hear of Christ, the existence of God, evil, suffering, and death, along with a number of other issues. 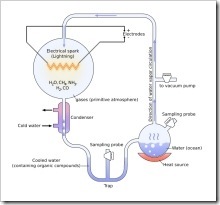 Sproul does use techniques of logic, but he frequently uses them incorrectly, bases his initial premise on invalid assumptions, or makes imaginary connections from point A to point B. As promised, however, he does give basic answers, and many of his answers would raise the chins and straighten the shoulders of Christians who have some mild doubts about their faith. Those who are more prone to critical analysis, observable evidence, and reason won’t find much here to persuade them about the validity of Sproul’s Christianity. 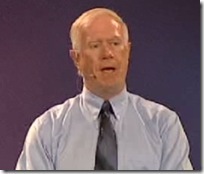 Sproul makes frequent use of the “let’s suppose” technique throughout the entire book. When discussing miracles, for instance, he says, “On the other hand, if there is a God who is omnipotent, then miracles are possible and accounts of them cannot be gratuitously dismissed as myths.” I don’t disagree with that statement, but it’s really not answering any questions about miracles. It’s merely playing a game of “What if.” He says that the claim about the bible being full of contradictions is a “radical exaggeration” and stems from the misunderstanding of what contradictions are and how the bible is read. A few examples of biblical contradictions are “explained away” in some apologetic hoop-jumping, though not in any real depth. I mentioned earlier that Sproul’s use of logic leaves something to be desired. A good example is his case for the infallibility of scripture. His opening premise is “The Bible is a basically reliable and trustworthy document.” That’s a flimsy, unsupported premise to begin with other than a few preceeding paragraphs about some historical accuracy, but he then moves to “On the basis of this reliable document we have sufficient evidence to believe confidently that Jesus Christ is the Son of God.” That’s a pretty huge jump, one that I and anyone else who’s using some critical thinking would thoroughly reject. However, Sproul continues on with four more jumps, leading us to the conclusion that the bible is infallible. His logic resoundingly fails, and frequently does so throughout the rest of the book. One reason why the book is good for Christians who want a bit of support and not so good for non-believers is that Sproul frequently begins his answers with theistic assertions. When discussing whether the “poor native who never heard of Christ” is doomed, for a large part of his argument, he relies on the biblical notion of original sin, stating that nobody is innocent. So the question, “What happens to the innocent person who’s never heard of Christ?” is dismissed partly by a theistic technicality and partly by semantic games. He plays other semantic games when discussing the existence of God, modifiying definitions of “chance” and “created by” so as to suit his needs. Sproul also seems to espouse the all-too-common, yet blatantly ignorant and offensive, claims that people reject religion because of mistreatment or abuse, and that atheists reject God to unburden themselves from guilt, to indulge their own desires at the expense of others, or because they don’t like the idea that they are “ultimately accountable to a just and holy God.” While that may be true in some cases, it’s much more likely that atheists reject religion simply because there is no evidence to support its theistic claims. However, Sproul continues his argument for religion for almost an entire chapter based on this faulty premise. The last tactic that is frequently used throughout the book is the setting up of “straw men” to knock down. Sproul defines the problem in such a way as to make it easy to refute, but by doing so, skirts the actual issue in question. He defines humanism in this way and then proceeds to use biblical quotations to refute it (another reason why the book is better for current Christians than it is for non-believers). There are so many issues I have with the “reasons to believe” given by the book, that it would take far too long to address them here. Reason to Believe, however, is an easy read, partly due to its small size, but also due in large part to Sproul’s competent writing style. If you’re a non-believer looking to see how Christians tend to address questions about their faith, it’s a quick and interesting read. As Sproul says in his preface, however, if you’re looking for a book on serious apologetics, you won’t find it here. You will be shaking your head a lot, though.